Thanks for choosing Thrift Home Care. We have been serving the home medical equipment and supply needs of Southwest Mississippi since 1990. With showroom locations in Brookhaven and McComb, we are able to provide a wider variety of home medical equipment and services to more people. Count on us for CPAP and BiPAP machines, incontinence supplies, compression garments, diabetic supplies, and much more. Thrift Home Care trained and caring staff are here to answer your questions, calm your fears and help you find the equipment you need to live as healthy and independently as possible. Ask us about home delivery and set-up. 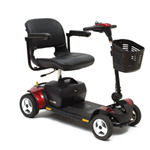 See the Thrift Home Care online catalog for a more complete list of our products. Contact us or visit either of our showrooms and we’ll answer your questions.